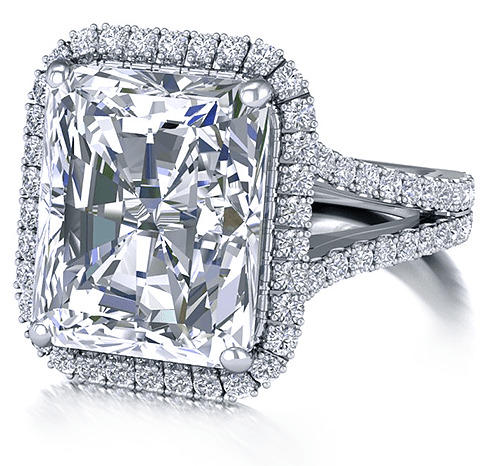 The Milano 7 Carat Cubic Zirconia Emerald Cut Micro Pave Halo Engagement Ring is a stunning beauty with its elegant design. 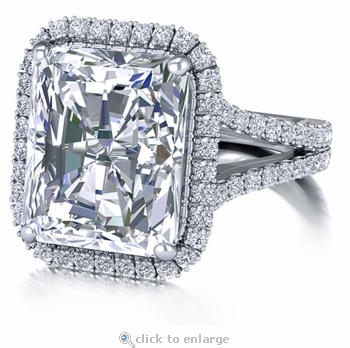 A prong set 7 carat 12x10mm emerald radiant cut center stone is outlined by a halo of micro pave set rounds. Additional micro pave set round cubic zirconia stones line approximately three quarters of the way down both sides of the split shank. 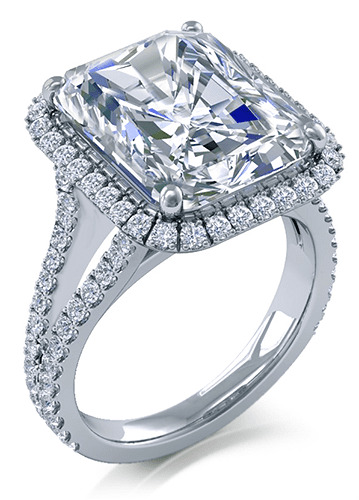 Its cathedral styled setting gives the ring additional height. The shank measures approximately 3.5mm in width just before the shank splits. 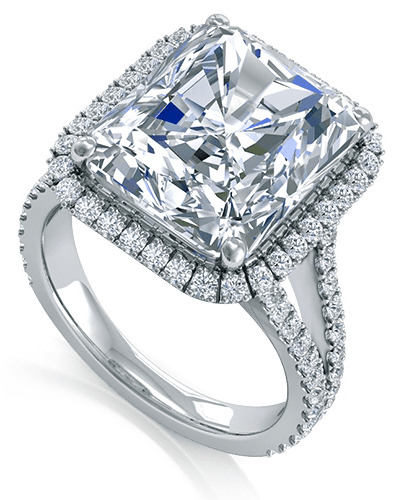 Approximately 8.75 carats of the finest hand cut and hand polished Russian formula cubic zirconia is included. Choose from a solid 14k white gold, 14k yellow gold, 18k white gold, 18k yellow gold or luxurious platinum mounting. Additional center stone carat sizes can be made via special order. Finger sizes 5 through 8 and metal options are listed in the pull down menu. 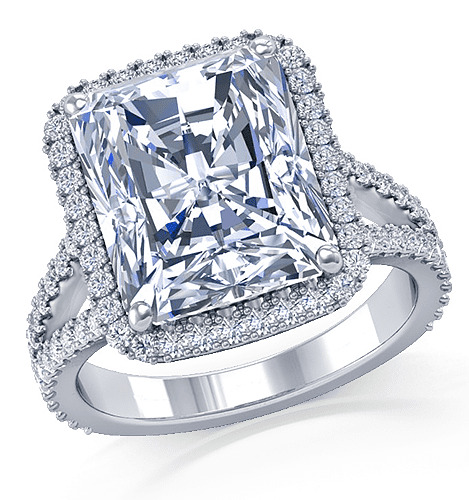 This ring is also available with a emerald step cut center, please see item R2027ES. For further assistance, please call us directly at 866-942-6663 or visit us via live chat and speak with a knowledgeable representative.